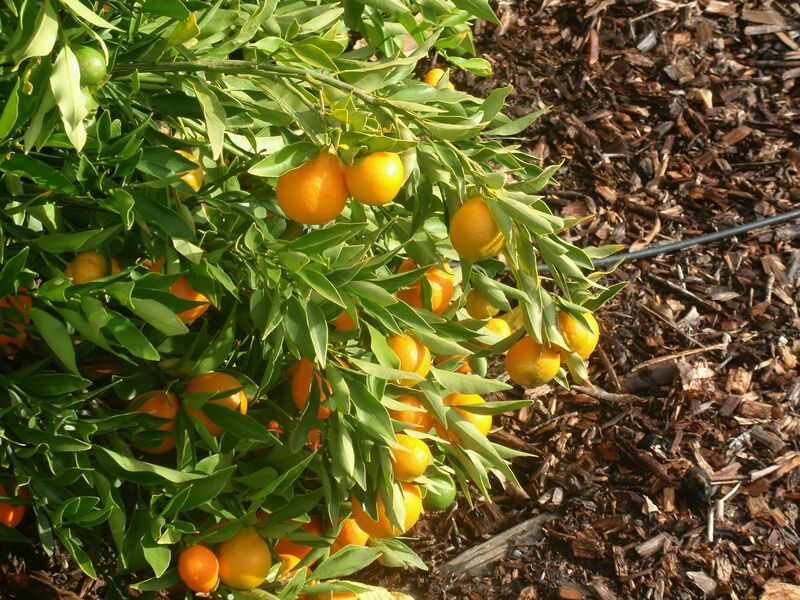 Kumquats are believed to be native to China. They were described in Chinese literature in 1178 A.D. A European writer in 1646 mentioned the fruit as having been described to him by a Portuguese missionary who had laboured 22 years in China. 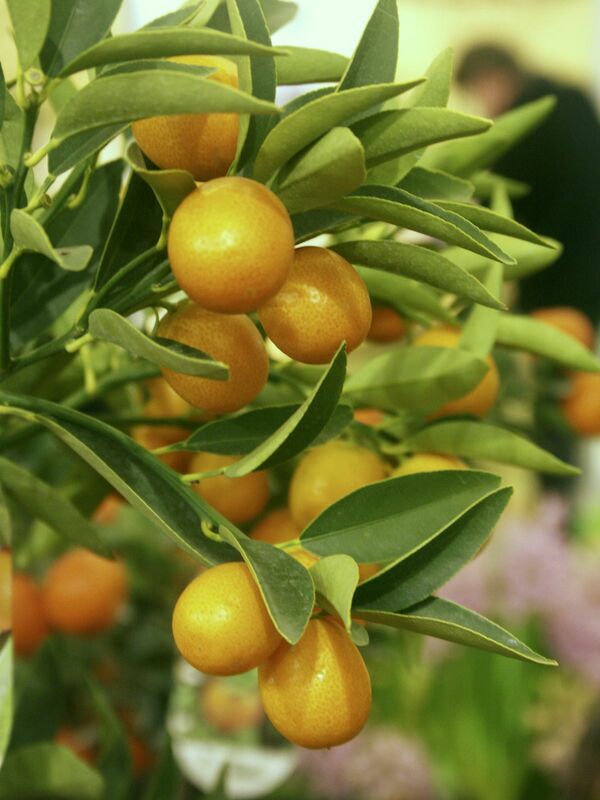 In 1712, kumquats were included in a list of plants cultivated in Japan. 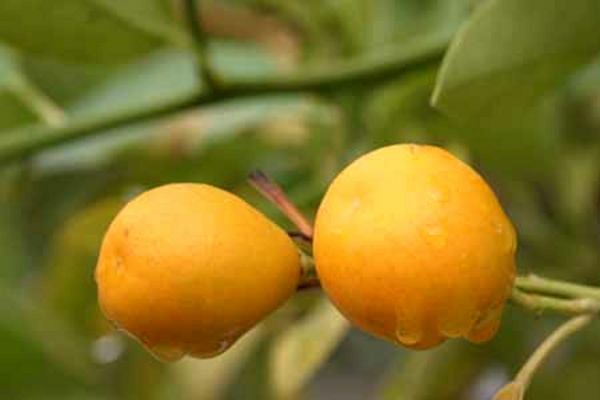 The name kumquat (cumquat) is supposed to have come from the earliest known Chinese name, chin kan, which is translated as meaning "gold orange." In Japan, where this fruit has been grown for centuries, the name kin kan is said to have the same meaning. Markedly resembling the other citrus fruits in general and obviously closely related to the Calamondin and some of the small-fruited mandarins, the kumquats were included in the genus Citrus until comparatively recently (1915) when W.T. Swingle established the genus Fortunella. The principal differences on the basis of which Swingle inroduced the separation included the following: (1) ovary locules many fewer than Citrus (three to five, rarely six or seven); (2) not more than two collateral ovules per locule (as compared to four to twelve); (3) stigma very broadly cavernous; (4) fruits very small with sweet, edible, more or less pulpy rind; and (5) small, more or less angular flower buds. 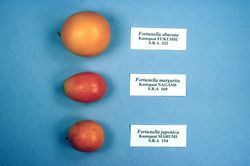 Whereas the various kumquat types were earlier considered varieties of the same species Citrus japonica, created by Carl Peter Thunberg in 1784, Swingle created a new species for each type: Fortunella margarita for the 'Nagami' type, Fortunella japonica for the 'Marumi' type, Fortunella crassifolia for the 'Meiwa' type and so on. 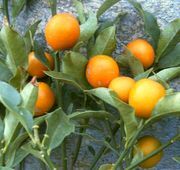 Since the oldest documented classification is the valid one today (see Citrus classification) the various kumquat types 'Nagami', 'Meiwa', 'Fukushu', 'Hong Kong', 'Malayan' and 'Marumi' are cultivated varieties of the one species Citrus japonica Thunb. The plant is an evergreen shrub or small tree (except on certain vigorous rootstocks), fine-stemmed and bushy, symmetrical, dense foliage consisting of small mandarin-like leaves. The tree is slow growing, shrubby, compact, 8 to 15 ft (2.4-4.5 m) tall, the branches light-green and angled when young, thornless or with a few spines. Common species are strongly cold resistant. The fruit is tiny to very small, globose, obovate, oval-oblong or round, 5/8 to 1 1/2 in (1.6-4 cm) wide. Rind is medium-thick (for the size of the fruit); fleshy; surface smooth; sweet-flavoured but aromatic and spicy; tightly adherent; axis small and solid. The pulp is scant, in 3 to 6 segments, not very juicy, acid to subacid. Contains small, pointed seeds or sometimes none; they are green within. Early midseason in maturity. Fruit holds well on tree with little loss in quality. Top picture on the right: Nagami (left) and Marumi (right) kumquats. Bottom picture: Fukushu (top), Nagami (middle) and Marumi (bottom) kumquats. Fresh kumquats, especially the 'Meiwa', and some hybrids like 'Sunquats' can be eaten raw, whole. For preserving, they should be left until they lose some of their moisture and acquire richer flavour. The fruits can easily be preserved whole in sugar syrup. Canned kumquats are exported from Taiwan and often served as dessert in Chinese restaurants. 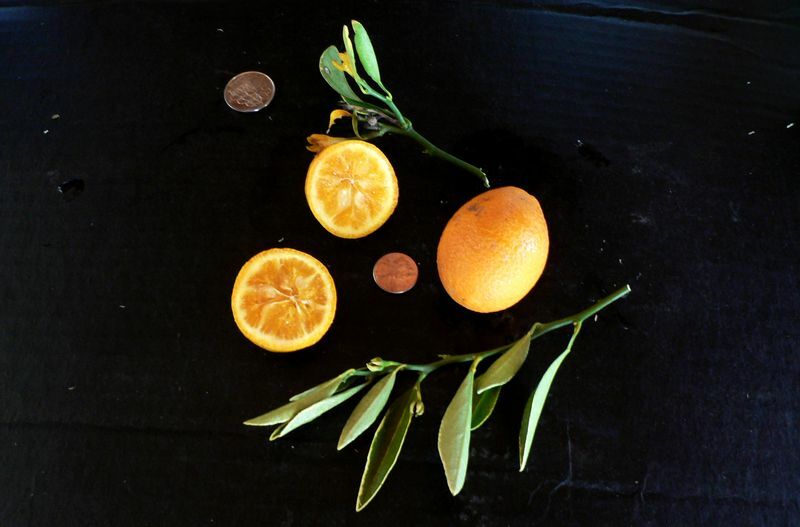 Kumquats are excellent for making marmalade, either alone or half-and-half with calamondin. The fruit may be pickled in a mixture of water, vinegar, and salt. To make sweet pickles, halved fruits are boiled in a mixture of corn syrup, vinegar, water and sugar, with added cloves and cinnamon. Kumquat sauce is made by cooking chopped, seeded fruits with honey, orange juice, salt and butter. 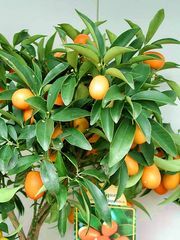 Kumquats are most widely grown in China, southern Japan, and Taiwan (Taipei), though the tropical form is confined principally to Malaya. They have been grown in Europe and North America since the mid-19th century, mainly as ornamental trees and as potted plants in patios and greenhouses. They are grown in California mainly as ornamental plants, in Florida primarily for the fruit for use in the gift-package trade and in Texas; to a lesser extent in Puerto Rico, Guatemala, Surinam, Colombia and Brazil. In South India, they can be grown only at high elevations. There is limited cultivation in Australia and South Africa. Oval Kumquat is the Naga or Nagami kinkan of Japan. It is oblong, obovate or oval in shape. It has a relatively small number of segments (four to five) and contains 2 to 5 seeds. Nagami fruit have a deep colour and a distinctive flavour. A mature specimen on rough lemon rootstock at Oneco, Florida, bore a crop of 3000 to 3500 fruits in 1901. Nagami is in season form October to January. 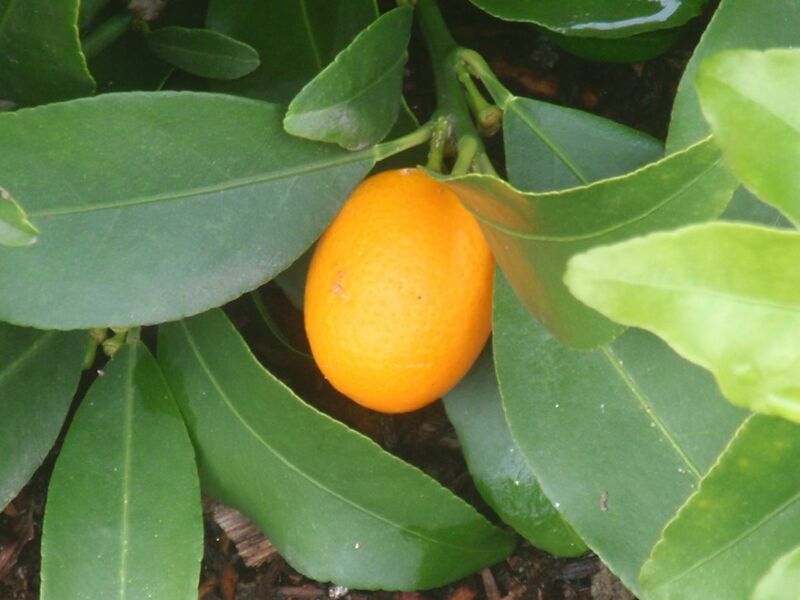 This was the first kumquat to arrive in the Western world. The plant was introduced from China to London in 1846 by Robert Fortune, plant explorer for the Royal Horticultural Society. First reports from North America are from 1850. It was introduced to Florida from Japan by Glen St. Mary and Royal Palm nurseries in 1885 and has been much the most popular grown variety ever since. 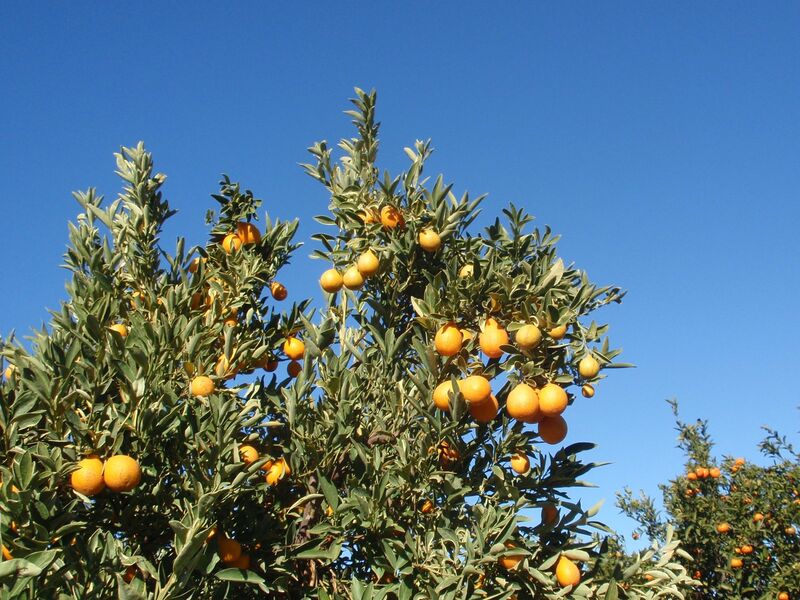 Israel is a big producer of Nagami kumquats for the European market. 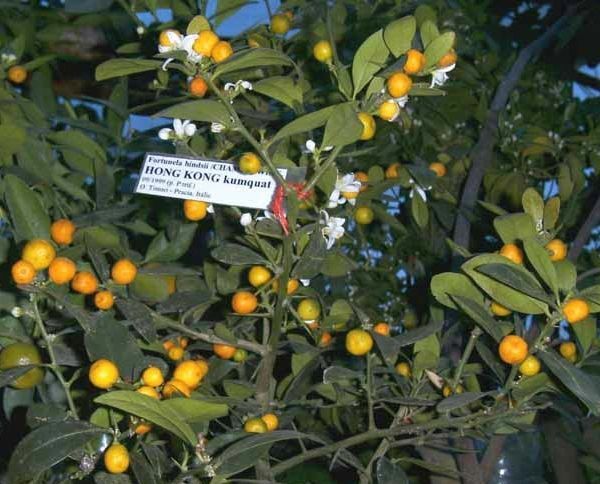 History: Centennial Variegated kumquat hybrid was released by the Agricultural Research Service of the USDA in 1993. Its origin is described as a mutated twig on a seedling tree resulting from an open-pollination of Nagami kumquat. The tree appears to grow well on trifoliate rootstock. Characteristics: Centennial is a small, shrubby tree with an upright growth habit. The attractive tree has a fine texture and is thornless. 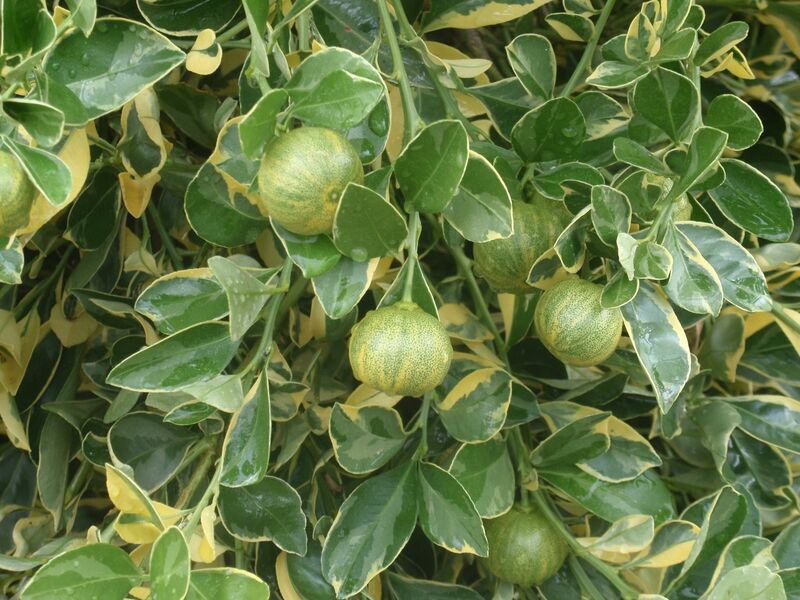 The leaves are variegated pale yellow and cream, and the immature fruits are striped light green and light yellow. 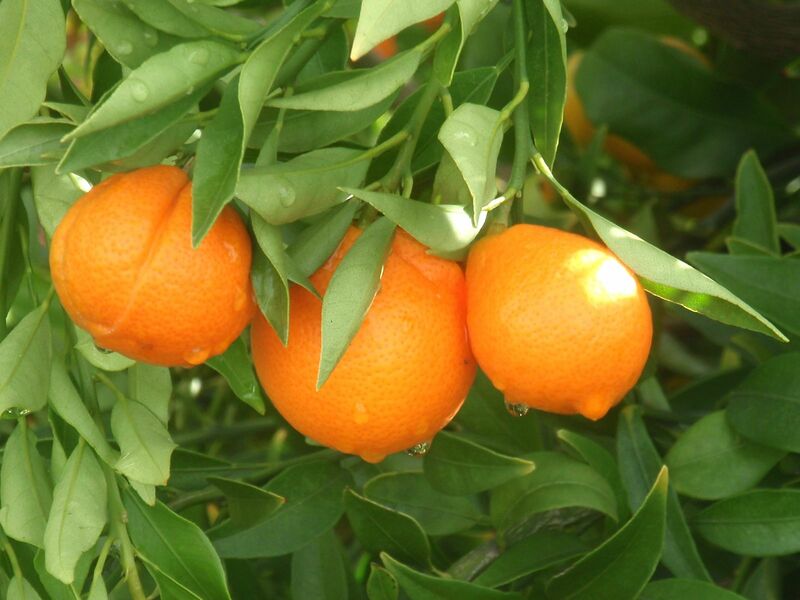 At maturity, the fruits acquire an orange colour and the striping becomes less pronounced. The fruits are oval and necked, up to two and one-half inches long, with a smooth rind. The flesh is acidic, juicy, light orange, and low-seeded. The fruit matures in winter and holds well on the tree. entirely seedless. The tree is similar to the standard Nagami kumquat, small to medium in size with a fine, dense texture. The tree becomes semi-dormant in winter, making it relatively cold hardy. Flowering season is in summer and the fruit matures in winter, holding well on the tree. 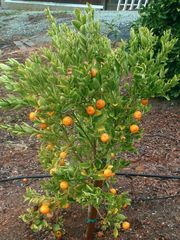 The fruits are orange at maturity, up to two inches long, three-quarters of an inch wide, and frequently hang in ornamental clusters. The fruits are seedless and the rind is sweet while the light orange flesh is acidic. Marumi is the Mame or Hime kinkan of Japan. 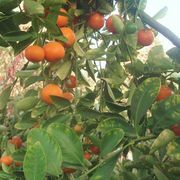 In comparison with the Nagami kumquat, which it closely resembles, the fruit of this kumquat is round or slightly oblate, oblate, sometimes obovate, and smaller. The rind is thinner and somewhat sweeter, golden-yellow smooth with a wider range in the number of segments (four to seven) and 1 to 3 seeds, which are smaller than those of Nagami. The tree is less vigorous and somewhat thorny, with smaller, less sharply pointed leaves. It is considerably more cold tolerant than Nagami and bears at the same season, from October to January. 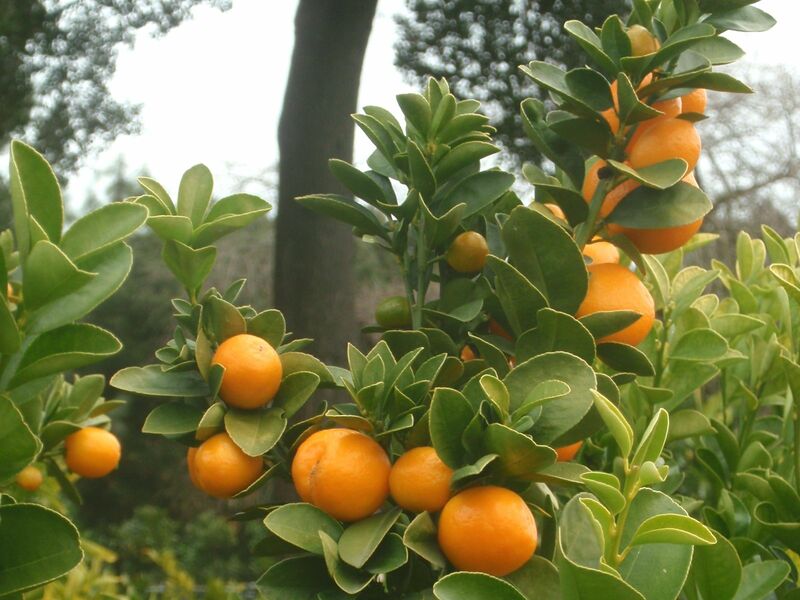 The Round kumquat was fully described for the first time in 1784. It was introduced to Florida from Japan by Glen St. Mary and Royal Palm nurseries in 1885. 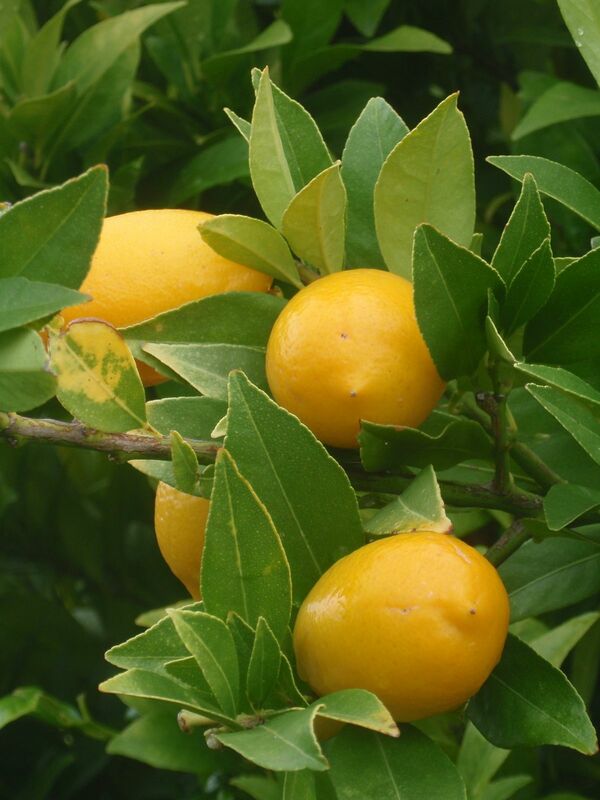 Meiwa kumquat is thought to be a natural hybrid between the oval (Nagami) and round (Marumi) kumquats. This species is the Ninpo, Meiwa or Neiha kinkan of Japan. 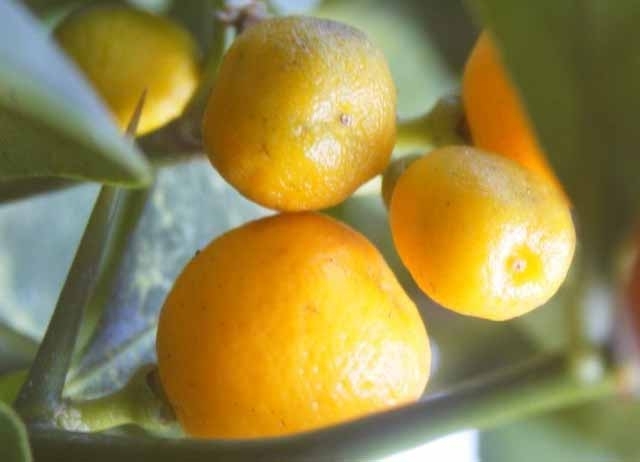 The most distinctive features of this kumquat are the short oblong or round form and relatively large size of the fruit, the more numerous sections (commonly seven), the very thick and sweet rind and comparatively sweet flavour, and the low seed content. Many fruits are seedless. 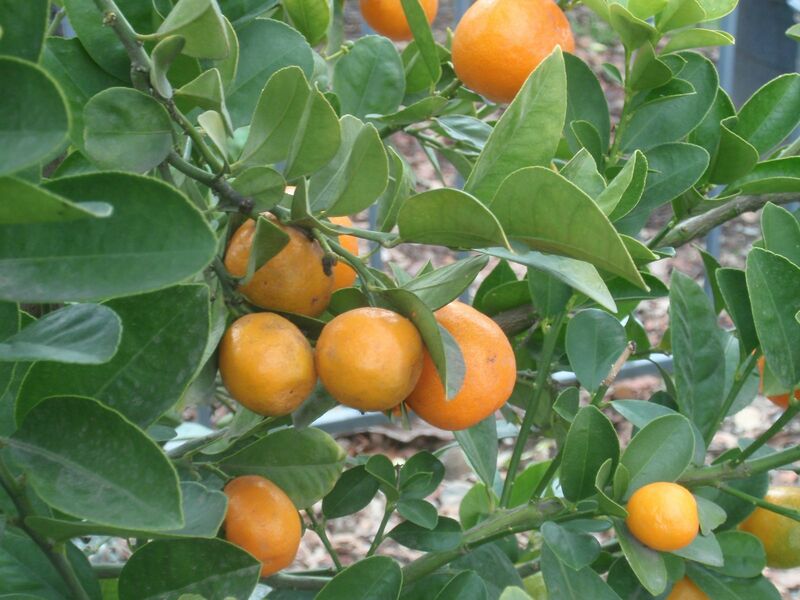 This is much the best kumquat variety for eating fresh. Although slightly less cold-hardy than Nagami it is increasing in popularity. Meiwa was introduced from Japan between 1910 and 1912. 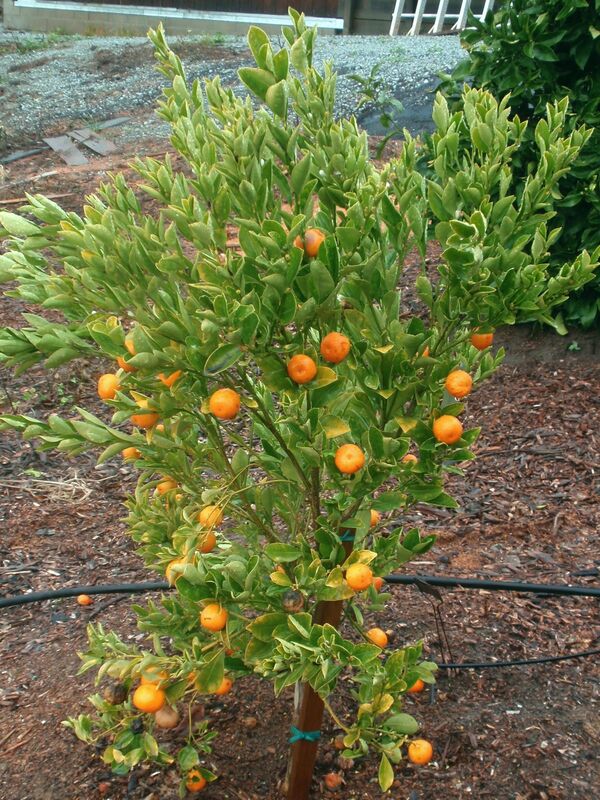 The tree is a dwarf, frequently thornless or having short, stout spines; the leaves differ from those of other kumquats in being very thick and rigid and partly folded lengthwise; they are pitted with numerous dark-green oil glands. 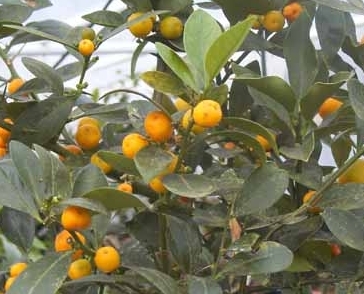 Hong Kong kumquat is reported to grow wild in Hong Kong and in the Chekiang and Kwantung provinces of China. This is the Mame or Hime kinkan of Japan. The most distinctive features include the small size and spiny nature of the plant and the very small, brilliantly coloured, subglobose, virtually inedible fruits that contain three or four segments and relatively large, plump seeds. 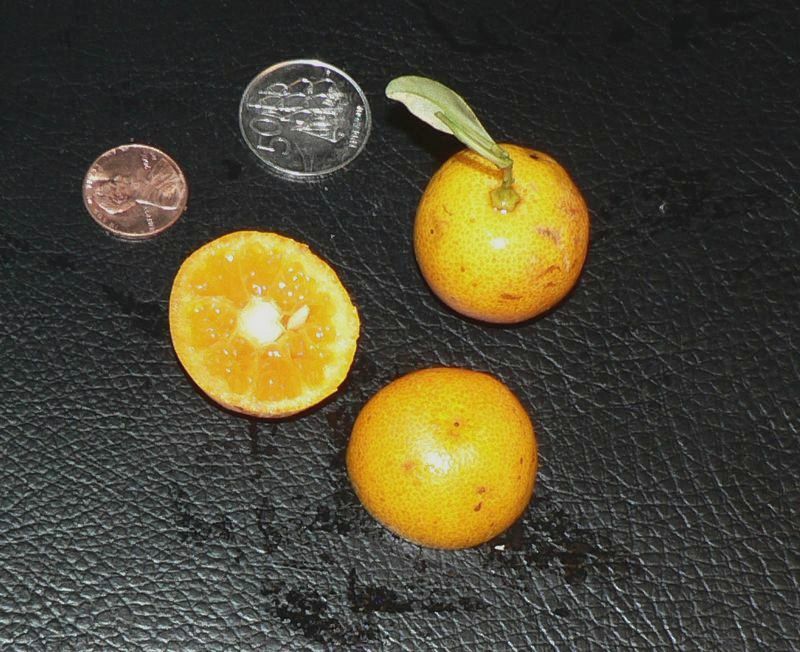 The fruits of the Hong Kong kumquat appear to be the smallest of the true Citrus fruits. Chinese people flock to the foothills to gather the fruits in season. In the western world, the very thorny shrub is grown only as an ornamental pot plant. 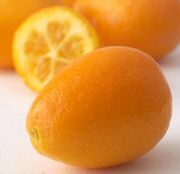 Fukushu kumquat is the Choju kinkan or Changshou kumquat of Japan. It is a dwarf variety that is reported to be widely grown as a potted plant in China and also in Japan to some extent. 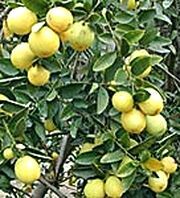 It is characterized by the broadly obovate form of the fruit, a markedly depressed apex, medium size, thin rind (for a kumquat), and a rather large number of segments (five or six, sometimes as many as eight). This species was established by Tanaka (1933) but was not accepted by Swingle who considered it to be a chance hybrid between two of the Fortunella species. 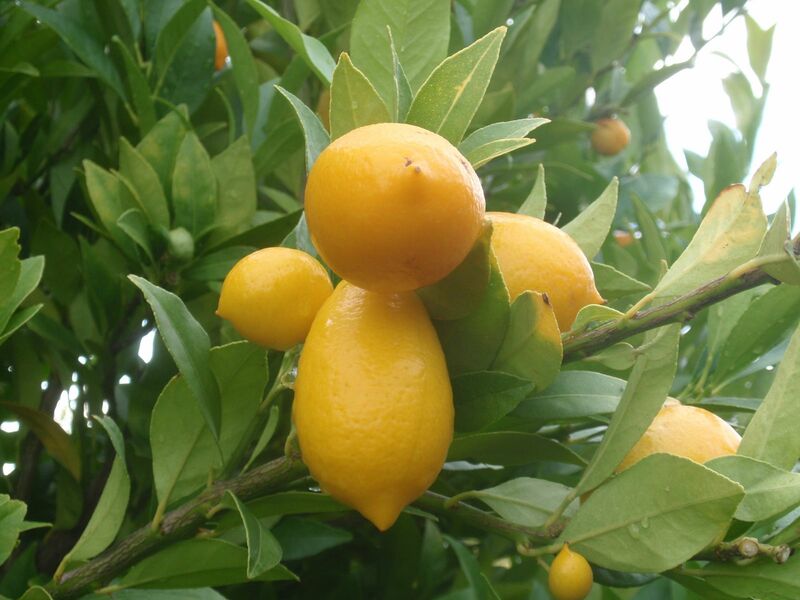 The Fukushu Kumquat is one of the best container citrus plants. The deep green evergreen leaves are attractive in their own right. The very fragrant white flowers can have an extended bloom that can last from late winter into spring. The small orange fruits have a thin skin that contains a significant amount of sugar. The flesh is juicy and somewhat tart. 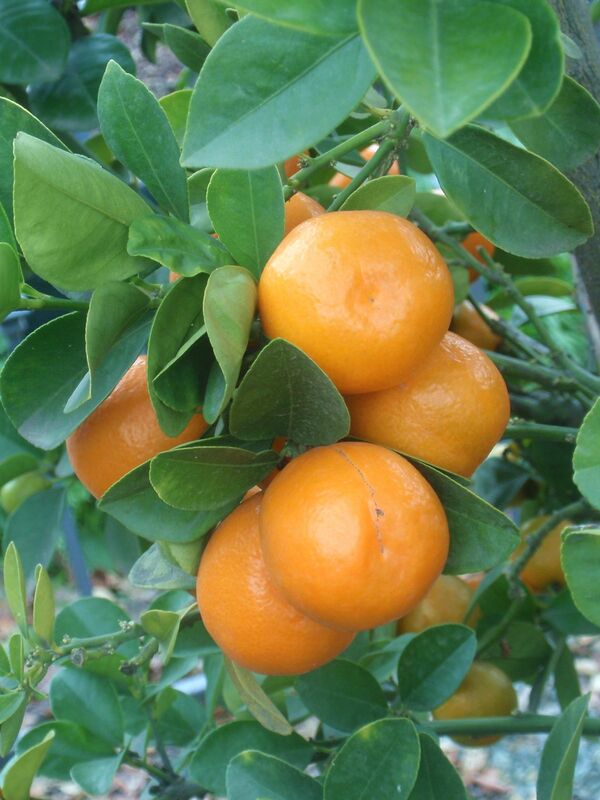 The Fukushu kumquat is thornless as well as one of the most frost-hardy of all of the citrus. It can tolerate normal light conditions and will do well inside next to a window. 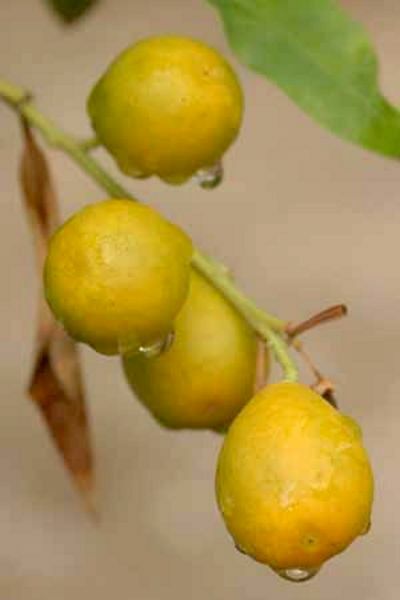 Malayan kumquat is the Limau pagar of Malaysia. Its present distribution seems to be restricted to that general region and Hainan Island. 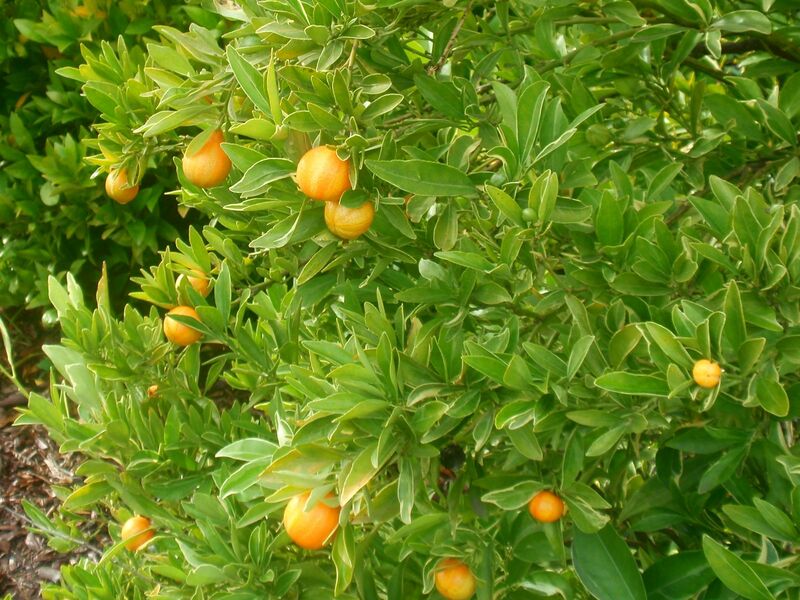 It is a thornless shrub with long, slender, lanceolate leaves and relatively large, round, and thin-skinned fruits (for a kumquat), containing five or six segments. Swingle accepted this species, though he questioned its validity and suggested the likelihood of hybrid origin. In a pot the plant grows to about 1 metre but in the ground it grows to 3-5metres tall. Native of Peninsular Malaysia and Hainan and cultivated as a hedge or roadside shrub in Peninsular Malaysia only. It is more abundant in Perak and Malacca. The fruits are about 2.5 cm in diameter. The skin is smooth, soft and shiny. It is green but turns yellow on ripening. The fruits are often grown for ornamental purposes because of their beautiful bright rich yellow colour. 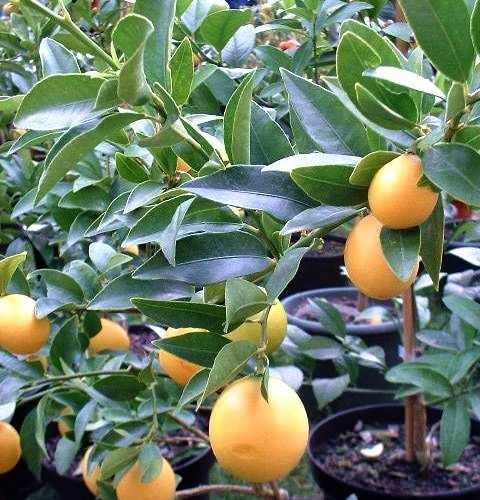 The fruit usually known as Lemonquat is in fact a Sunquat, a variety of kumquat hybrids having an edible rind. 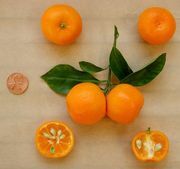 Many citrus scholars now agree that it most likely is a type of mandarinquat, possibly a hybrid of clementine and a Meiwa kumquat. Phil Sauber from Texas has told me that Sunquat is an unknown seedling found under a clementine tree in Houston, TX in the 1950s. Mr Sauber said he knows two of the original people who found it. The whole fruit with is peel is edible and has no off-flavours. 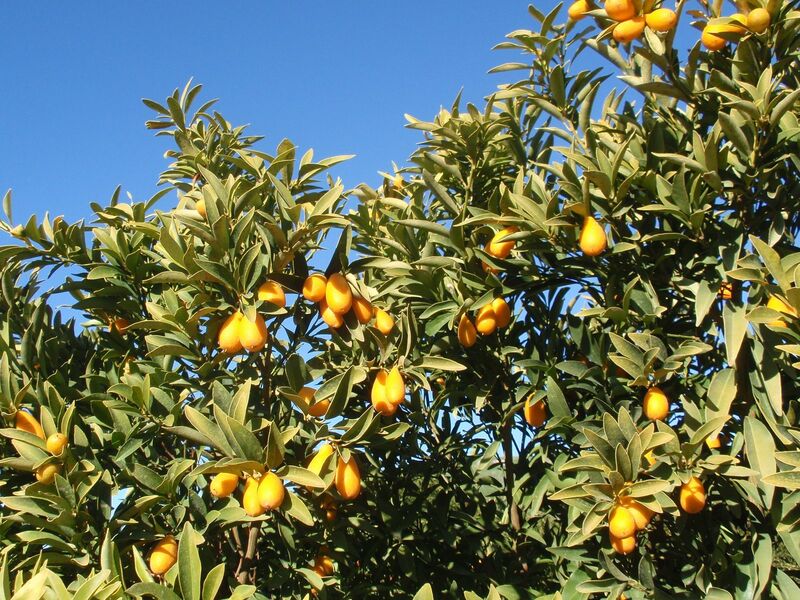 Sunquat is said to be excellent for marmalade. 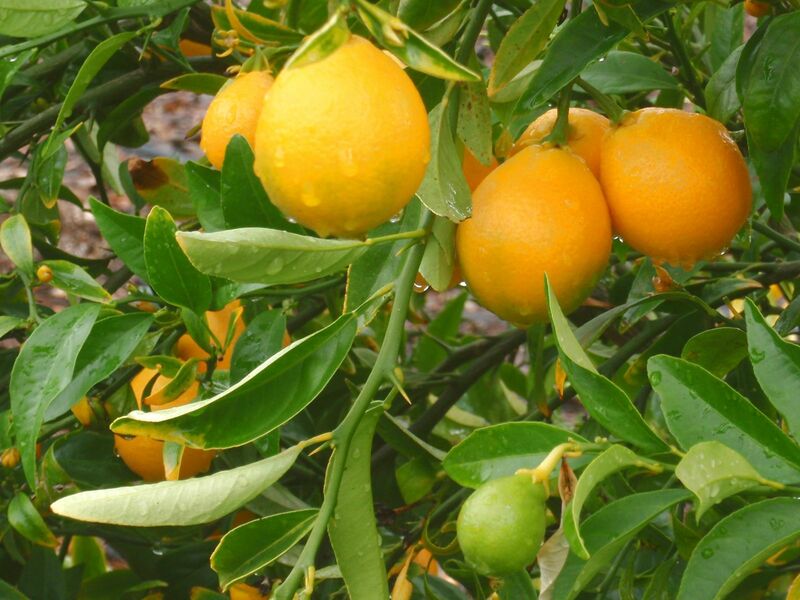 The cultivated variety 'Rio Grande Valley' is sold as a lemonquat. Indio traces back to an open pollinated seedling under a large old Nagami tree at UCLA. 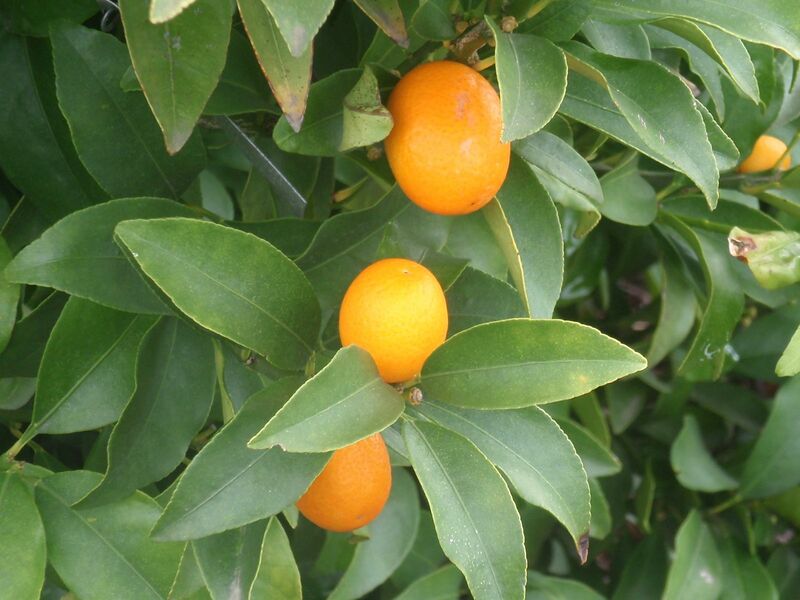 It is a kumquat-mandarin hybrid with orange bell-shaped fruit much larger than a typical kumquat. The sweet peel is eaten along with the tart flesh for a unique flavour combination. This variety usually blooms during the summer months and produces abundant crops of fruit that stay on the tree during the winter months. Indio looks like a giant kumquat, with similar tangy-sweet flesh and edible rind. A very decorative tree. 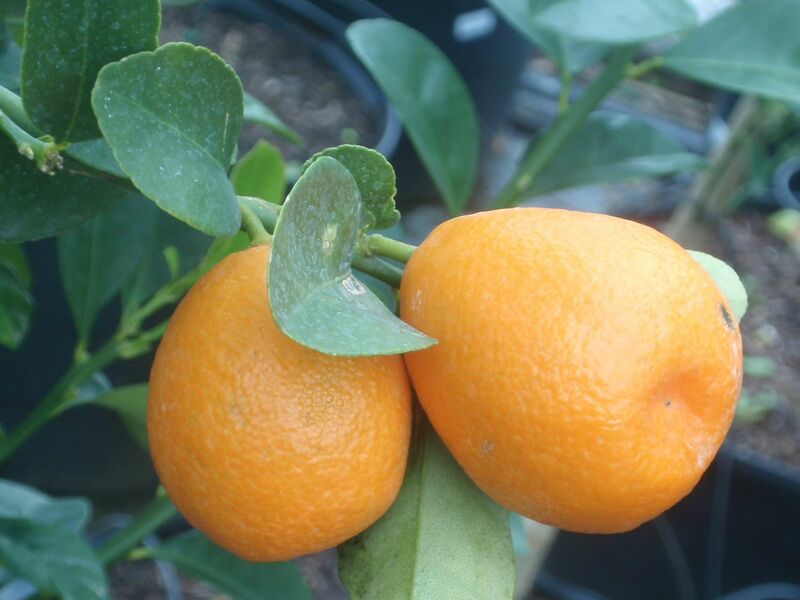 The name "Orangequat" originally given to this class of hybrid is misleading since its parentage involves a mandarin rather than an orange. 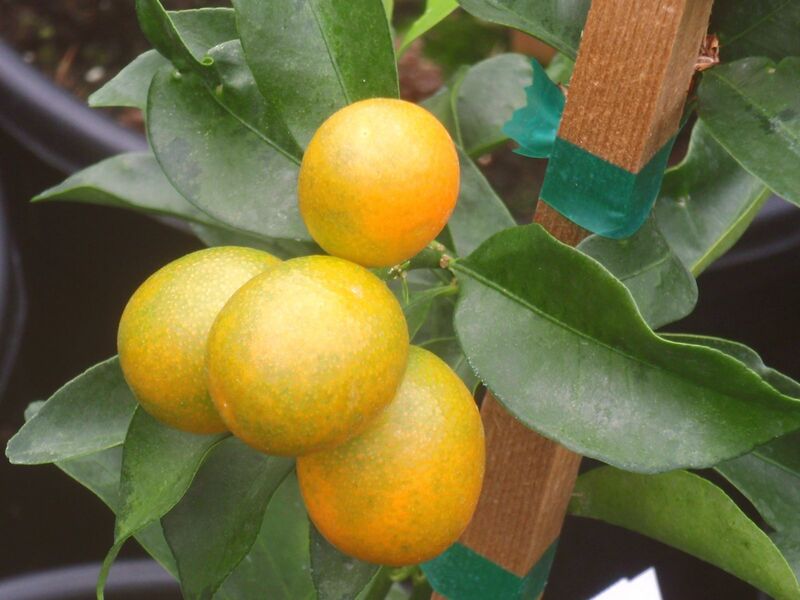 This variety originated from a cross between the satsuma mandarin (C. unshiu) and the Meiwa kumquat (Citrus japonica Thunb. 'Meiwa') made in Washington, D.C. by Eugene May of the U.S. Department of Agriculture. It was described in 1931 by Swingle, Robinson, and Savage and introduced in 1932. 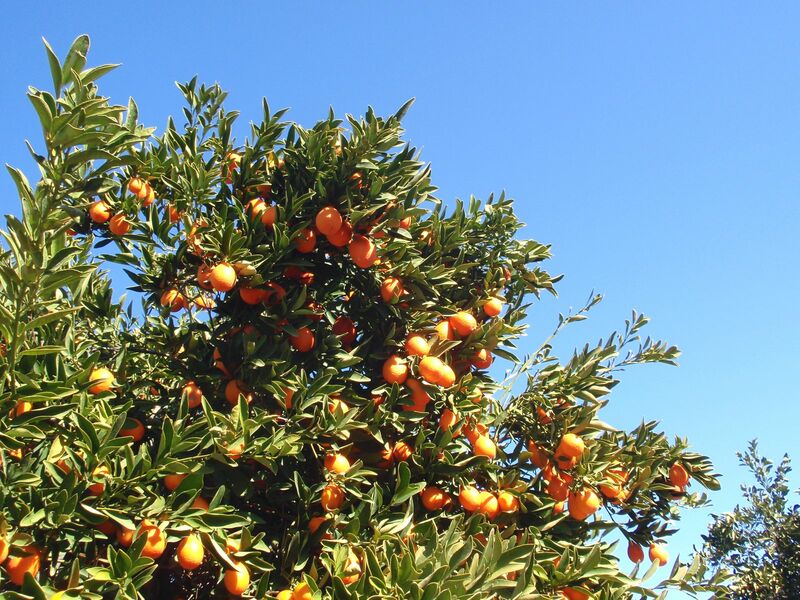 It is an attractive ornamental and the fruit makes excellent marmalade. Fruit is small (smaller than satsuma but larger than kumquat), broadly oval to obovate; orange-coloured; rind relatively thick and spongy; flavour mild and pulp acid. Matures early but holds well on tree for several months. Tree is slow-growing, medium-small, spreading; foliage dark green. 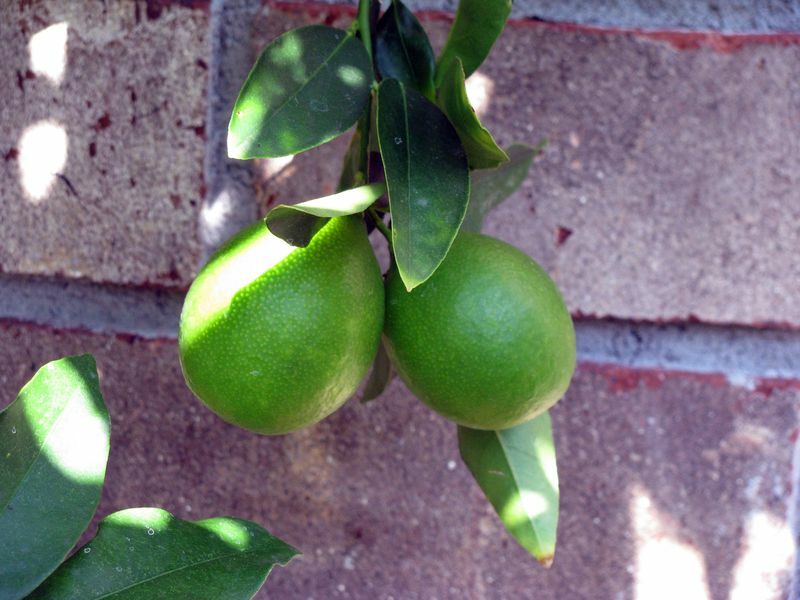 Limequats are Mexican lime x kumquat hybrids made by Dr. Swingle in 1909, described and named in 1913. Trees are vigorous, evergreen, the single leaflets having narrowly-winged petioles; nearly spineless or with a few short thorns; more cold-tolerant than the lime but not as hardy as the kumquat; very resistant to wither tip. Fruit much like the Mexican lime. There are three named cultivars: Eustis, Lakeland, and Tavares (see below), important in approximately that order. 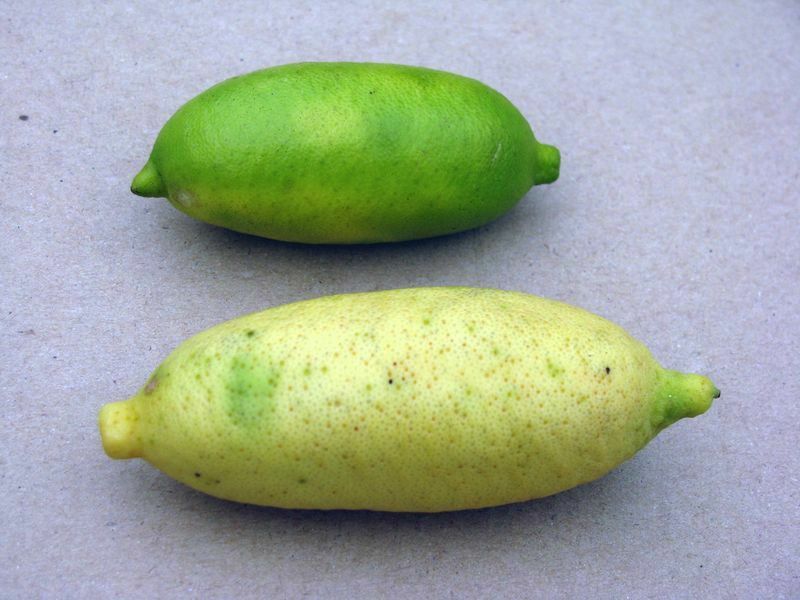 All are characterized by fruits that closely resemble the West Indian lime in size, form, and composition and hence are reasonably acceptable substitutes. Eustis and Lakeland also closely approach the West Indian lime in colour. 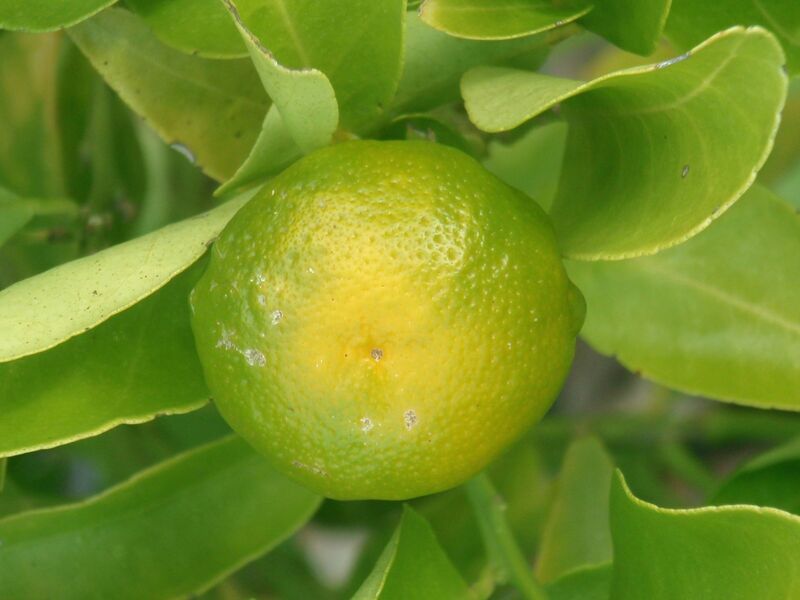 Tavares, however, exhibits some of the orange colouration characteristic of the kumquat and the pink of the flower buds, which occurs in the West Indian lime. 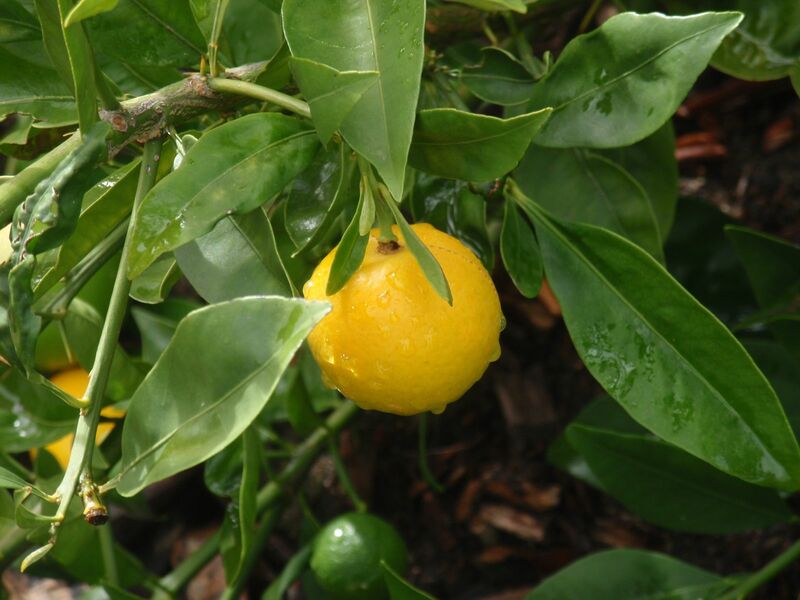 All limequats are more cold-resistant than the lime parent but much less so than the kumquat. 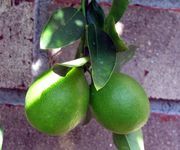 None of the limequats has achieved commercial importance for the fruit, but Eustis and Lakeland are grown to some extent as ornamentals. In California, they are popular as potted or tubbed plants for patios and terraces. 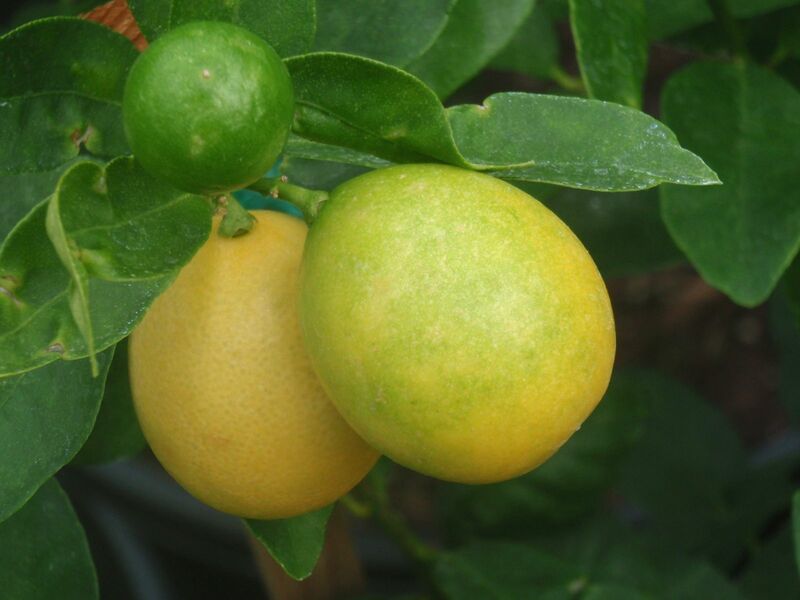 Eustis and Lakeland are sister hybrids of the West Indian lime and the round kumquat (Marumi), and Tavares is a similar hybrid with the oval kumquat (Nagami). 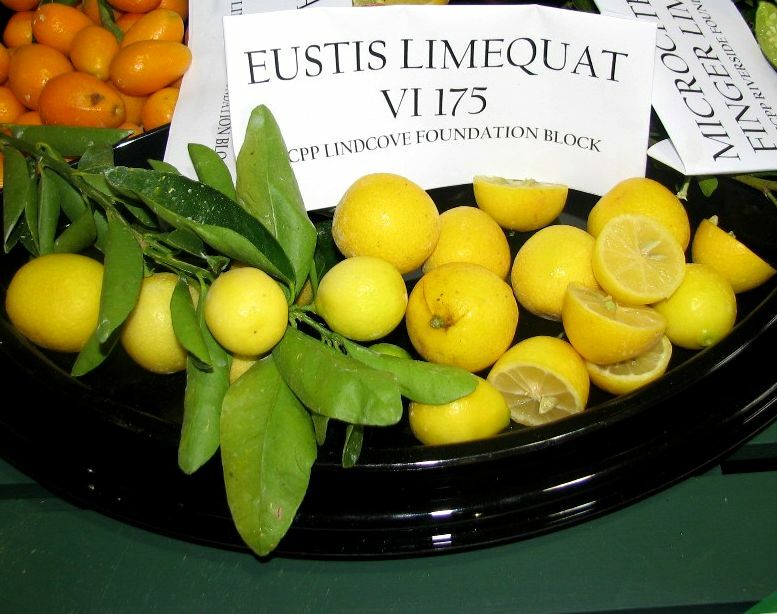 Eustis Limequat is a Mexican lime crossed with Round kumquat; oval or round, 1 1/8 to 1 1/2 in (2.8-4 cm) wide; peel pale-yellow, smooth, glossy, with prominent oil glands, thin, edible; pulp light greenish in 6 to 9 segments, tender, juicy, very acid, with 5 to 12 small seeds. Of excellent quality, nearly ever-bearing but mainly in fall-to-winter. Tree has small spines and pure-white buds and flowers; prolific. Citrus × floridana (J. Ingram & H. Moore) Mabb. 'Eustis' × Citrus australasica F.Muell. 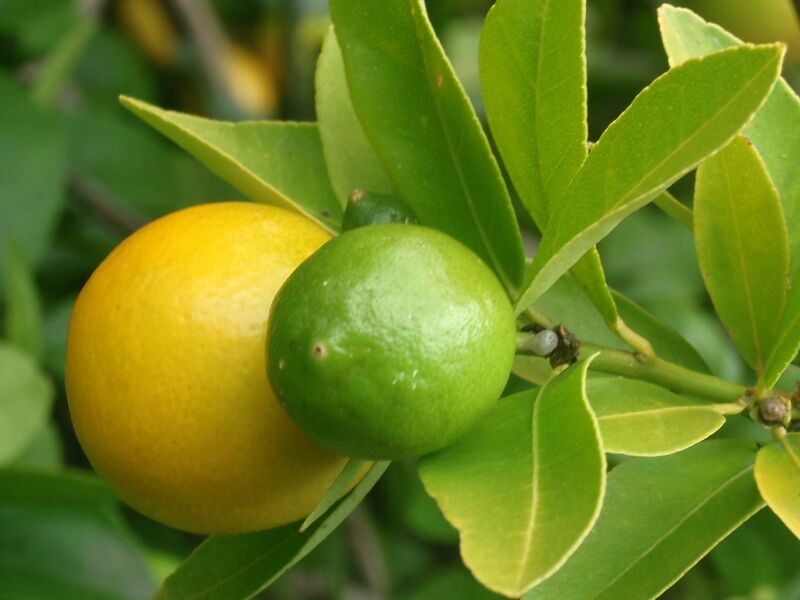 Faustrime is a hybrid of Limequat Eustis and the Australian fingerlime (Microcitrus australasica). 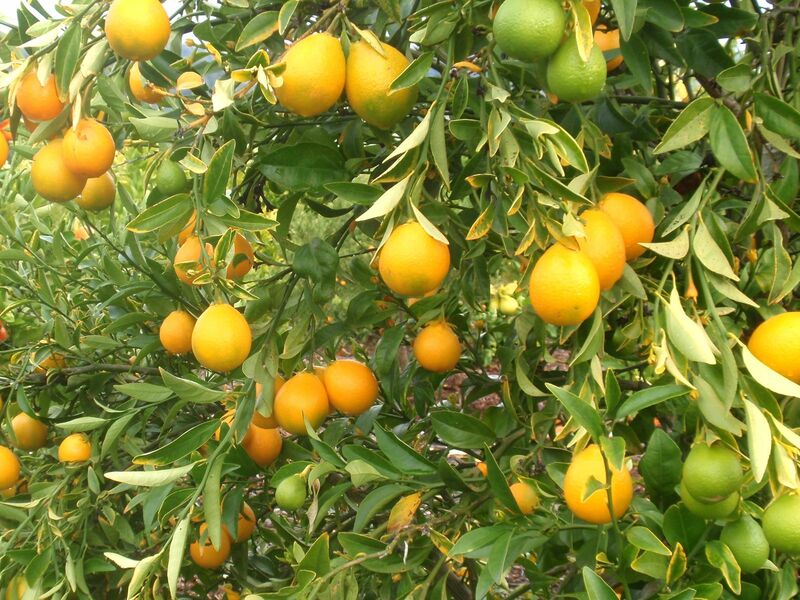 It is discussed in >> Native Australian citrus varieties. 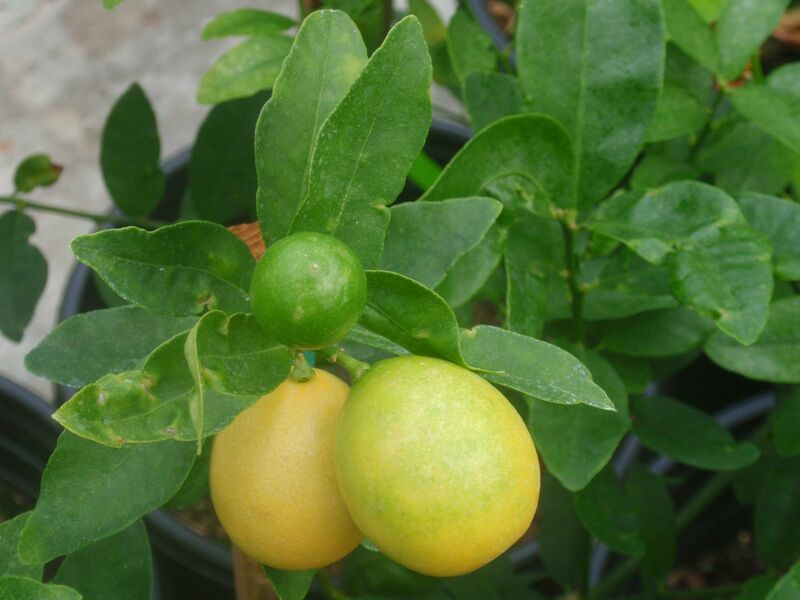 Lakeland limequat is also a Mexican lime crossed with round kumquat, but a different seed from the same hybrid parent. 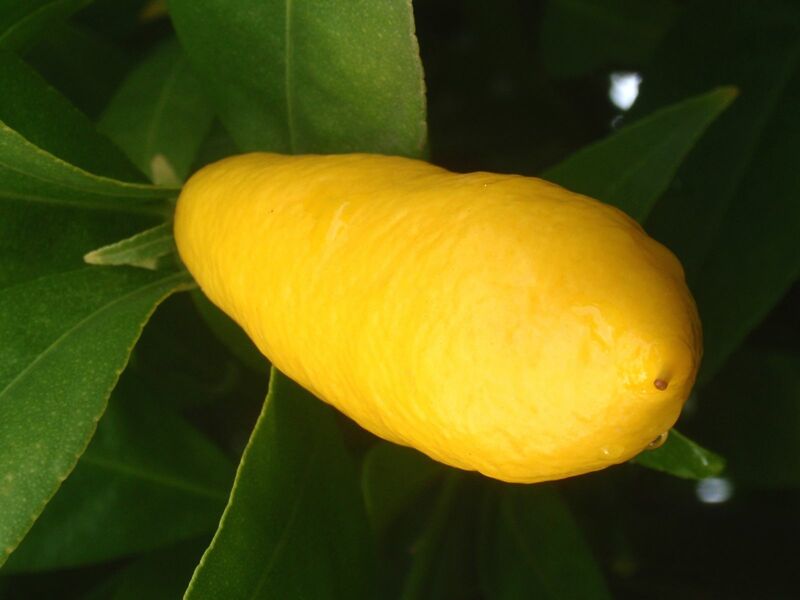 The fruit is oval, 1 1/4 to 2 1/4 in (4.5-7 cm) wide; peel bright-yellow, smooth, thin; pulp in 5 to 8 segments, pale-yellow, juicy, pleasantly acid, with 2 to 9 large seeds. Yellow-orange fruit on bushes three feet tall; highly productive. Tree nearly spineless; flowers white with pink streaks. Tavares limequat is a Mexican lime x oval kumquat hybrid; obovate to oval, about 1 1/4 to 1 7/8 in (3.2-4.75 cm) wide; peel pale orange-yellow, smooth, thin, tender, edible; pulp buff-yellow, in 7 to 8 segments, juicy, very acid, with 6 to 11 large seeds. Tree is vigorous with short spines and pink flower buds. 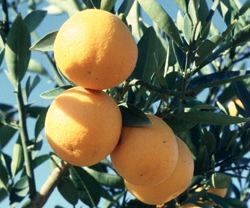 Combining the cold-hardiness of the kumquat and trifoliate orange, the citrangequats appear to be more cold-resistant than the citranges or the Calamondin and kumquat, for they are said to succeed in regions too cold for these fruits. The first crosses were made by Dr. Swingle at Eustis, Florida, in 1909. Tree is vigorous, erect, thorny or thornless, with mostly trifoliate leaves; highly cold-resistant. 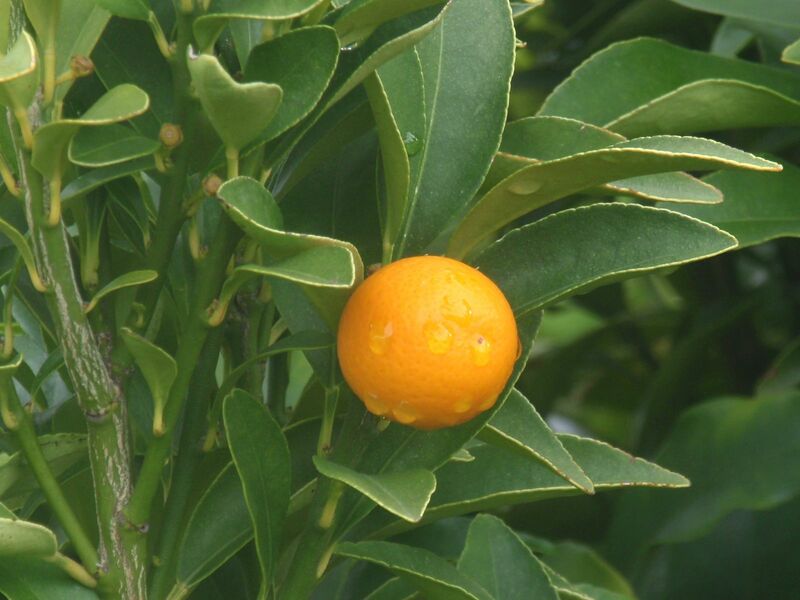 Fruit resembles the oval kumquat, mostly very acid. Two varieties are described below. Both produce fruits with marked resemblances to the kumquat. One is characterized by a high percentage of trifoliate leaves, the other by mainly unifoliolate leaves. The 'Macciaroli' grows in the Gene Lester citrus collection. Thomasville becomes edible when fully mature, though it is relatively seedy. It is very juicy, valued for eating fresh, for marmalade and for flavouring soft drinks. 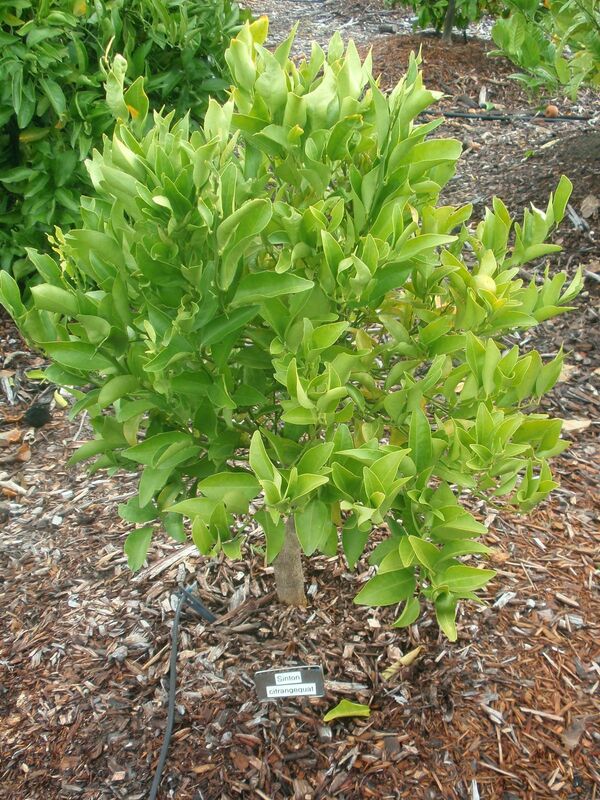 The tree is strongly resistant to citrus canker and is very ornamental. and was first fruited at Thomasville, Georgia. The cross was made in 1909, and the variety was named and described in 1923. 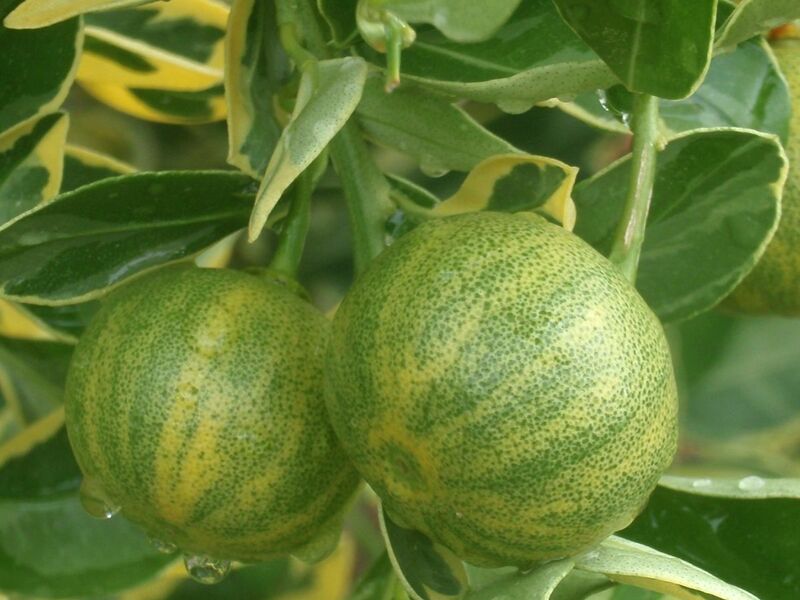 Fruit medium-small, globose to oval; colour yellow to orange-yellow. The tree is very vigorous, upright and thorny. Leaves are variable but mainly trifoliate. 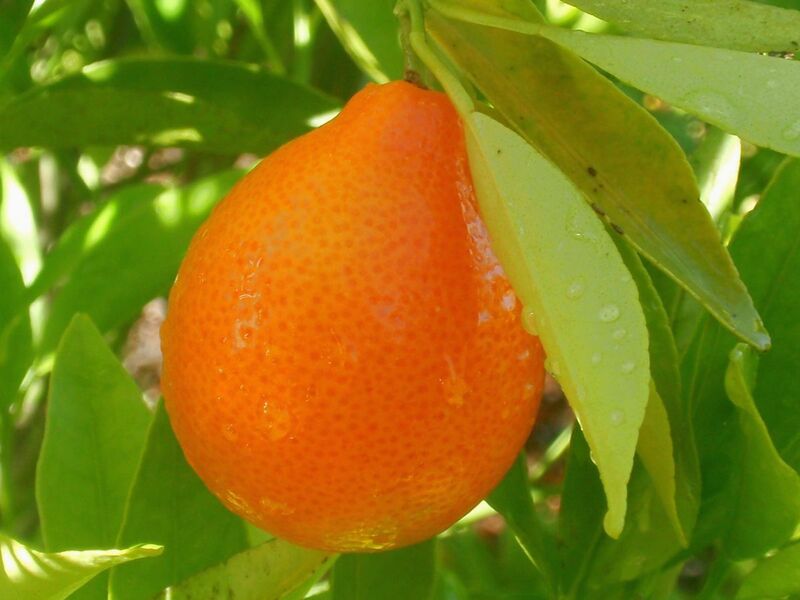 Presumably because of the larger size and edibility of the fruit, it is much the most popular citrangequat variety. Citrangequat Sinton is an Oval kumquat and Rusk citrange hybrid first fruited at Sinton, Texas, and was named and described in 1923. It is an attractive ornamental and the fruit is beautifully coloured but highly acid. Fruit is small, round to oval; often necked; colour deep reddish orange; sharply acid; nearly seedless. Tree moderately vigorous, upright, nearly thornless; leaves mainly unifoliolate. Calamondin is a kumquat hybrid most likely of Chinese origin but introduced to the western world from the Philippines. 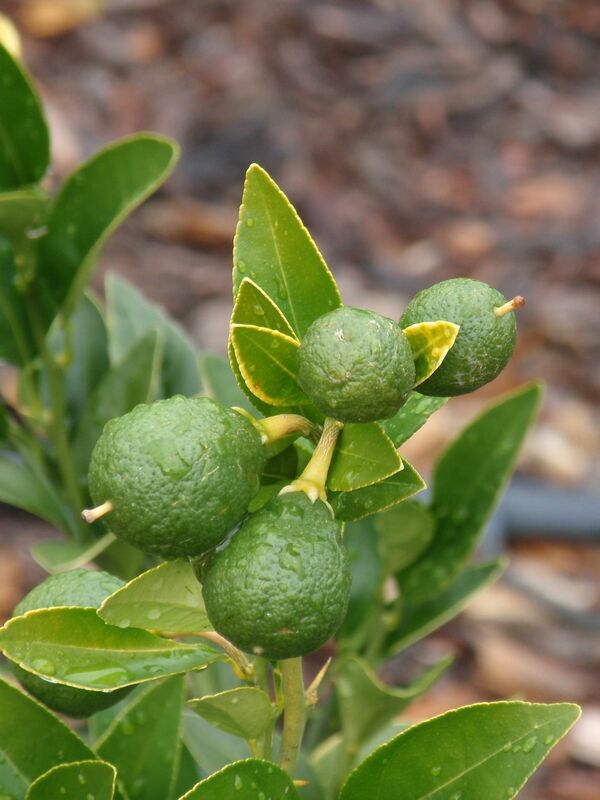 More has been written about the correct classification and origin of the Calamondin than most other citrus plants. 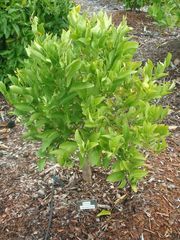 The exact hybrid nature of the Calamondin remains to be established. 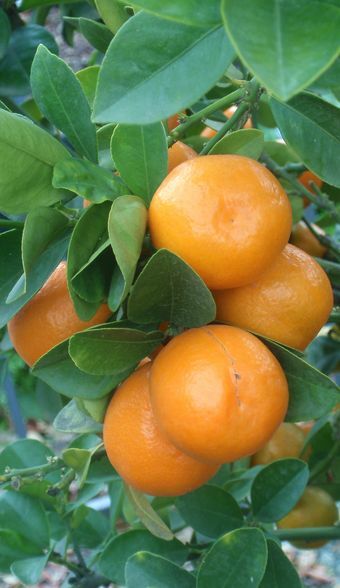 It is commonly accepted to be a hybrid of a sour mandarin type and a kumquat. 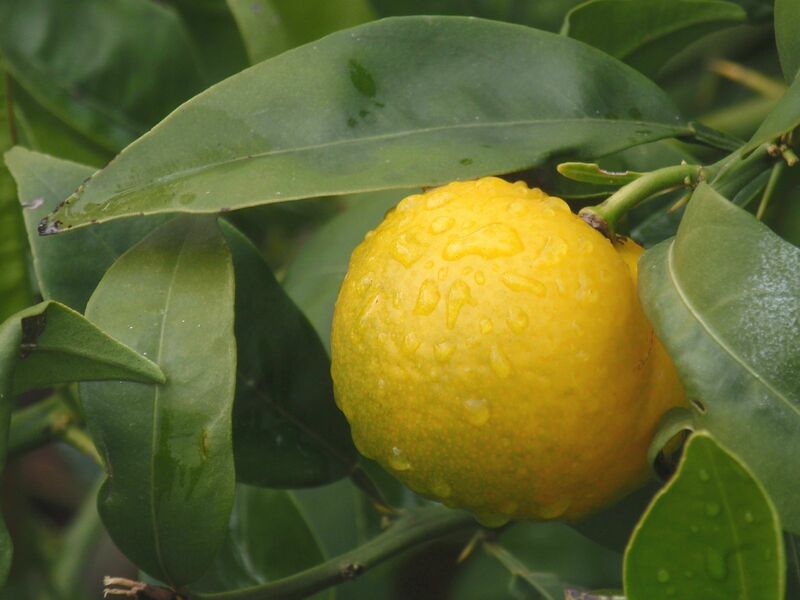 The most frequently mentioned candidates are the Sour mandarin Citrus sunki Tanaka of 1927 (which is the later Citrus reticulata var. 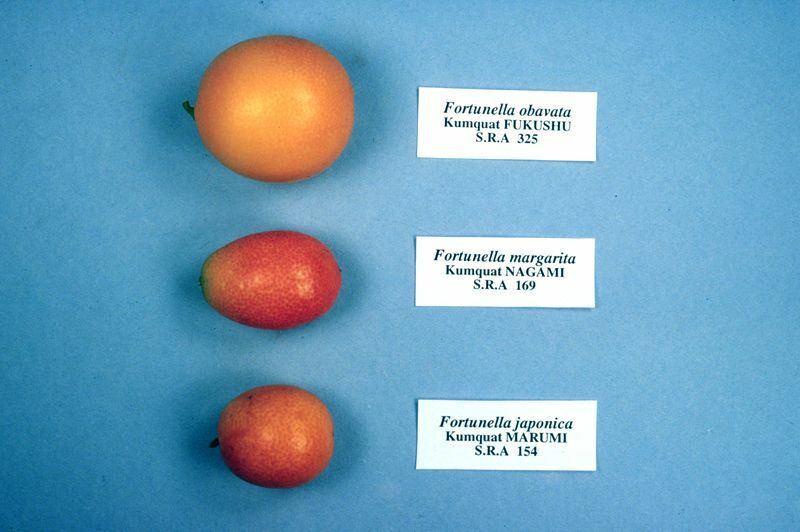 austera of Swingle of 1942) and the Oval or 'Nagami' kumquat Citrus japonica Thunb. 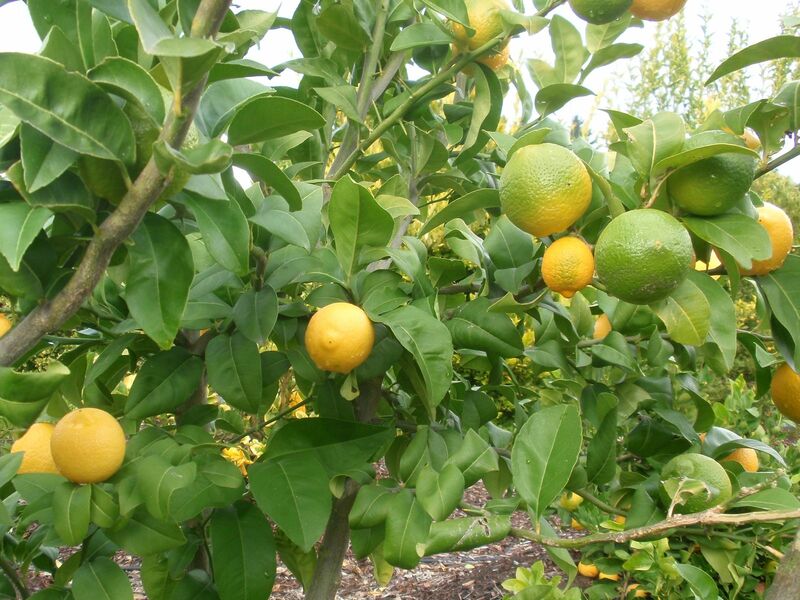 It is still unclear to which plant the classification Citrus madurensis by Loureiro (1717-1791) referred to. 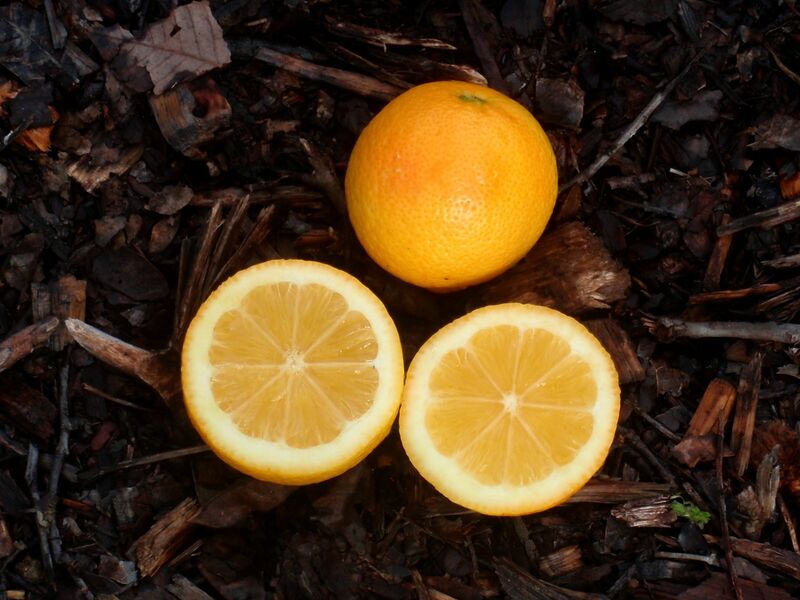 Blanco created Citrus mitis in 1837. J.Ingram & H.E.Moore used the name X Citrofortunella mitis in 1975 and the name Citrofortunella × microcarpa was given by Wijnands in 1984. 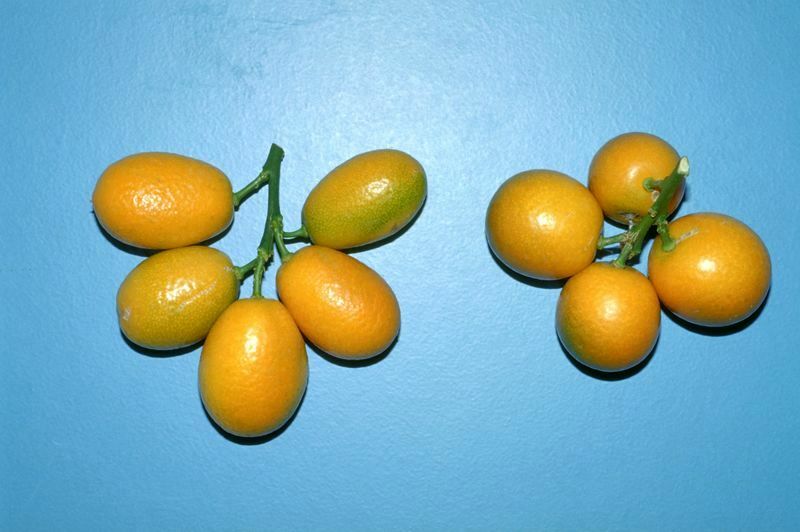 The last two are obvious attempts to acknowledge the hybrid nature of the Calamondin Citrofortunella suggesting both the genus Citrus of the mandarin parent and the genus Fortunella of kumquats. So far the hybrid genus Citrofortunella has not been accepted as a valid name. As the genus Fortunella of Swingle is no longer valid either (see History and Today) the concept has no basis. The oldest documented description and classification is valid today and it was given to the Calamondin by Alexander Andrejewitsch von Bunge (1803-1890) as Citrus microcarpa Bunge in 1833. When a plant is obviously of a hybrid nature the sign × is today attached between the genus and species name. 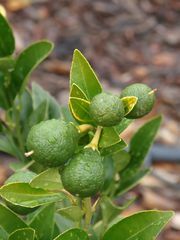 Since 1997 Citrus × microcarpa Bunge has been the legal classification of the Calamondin. The × sign is only added in writing, it is not pronounced. To type it press down and hold Alt-key, type 0215 on the numeric key pad, release Atl-key. 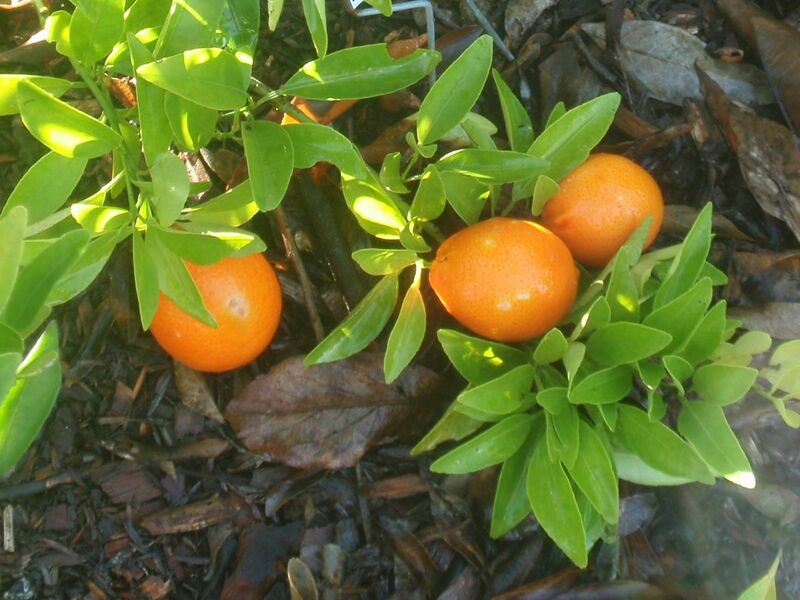 While the Calamondin is a cross between the Sour mandarin (Citrus sunki) and the Oval Kumquat (Citrus japonica Thunb. 'Nagami') it is itself a parent in many other hybrids, Faustrimedin among them (Citrus × microcarpa Bunge × Citrus australasica F.Muell.). 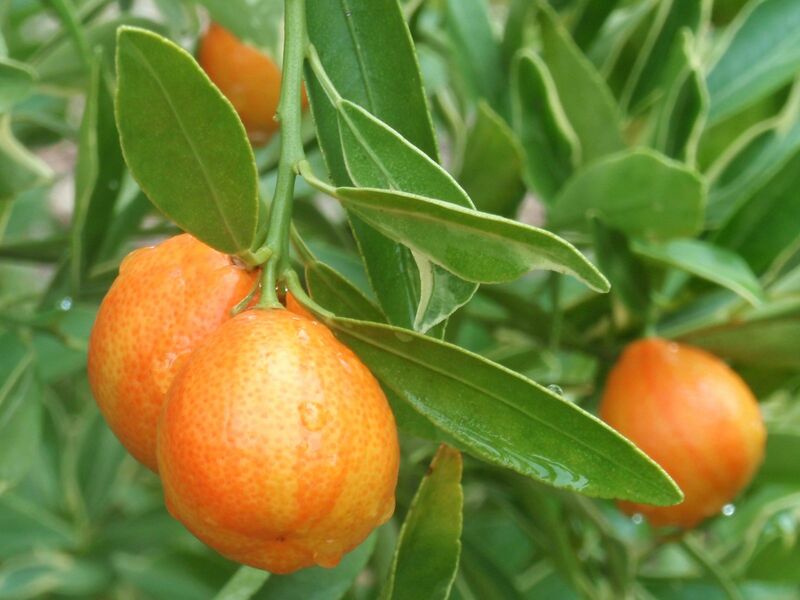 Calamondin has inherited more qualities from the mandarin than the kumquat. Whereas the rind of kumquats is usually edible, the rind of Calamondin resembles those of the genus Citrus in being often too sour for consumption especially in the larger fruits (4 - 6 cm in diameter). The inner parts of the flower (pedicel and ovary) are also more like those of the Citrus. Calamondin can be used in the kitchen instead of lime. It was used in mixing drinks before lime became popular. It is good for marinating fish and in sauces for fish dishes. It is used in marmalades and jams. 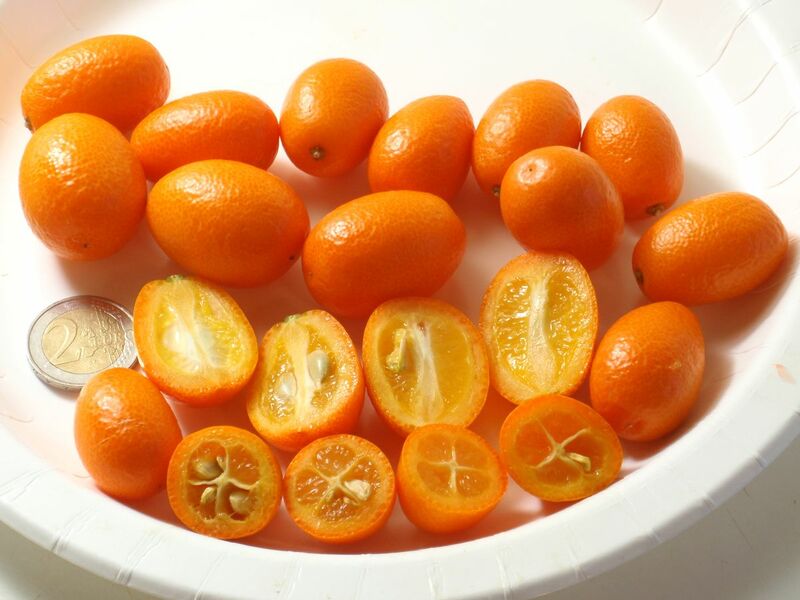 Calamondin can be pickled whole or in slices like cucumbers. The taste of Calamondin is best when it has fully matured. 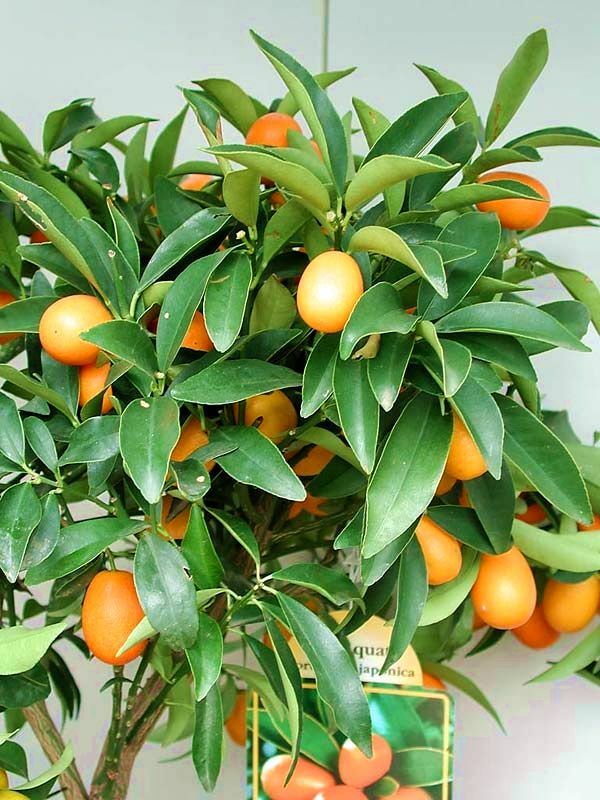 Calamondin is increasingly popular as a potted house plant. Peters, a variegated calamondin. The fruit show off especially well against the beautiful bi-coloured leaves and thick foliage. Much used as an ornamental in landscaping, gardening, in containers and as a potted house plant. The fruit is edible. It can be used like the ordinary Calamondin above. Citrus × microcarpa Bunge × Citrus australasica F.Muell. 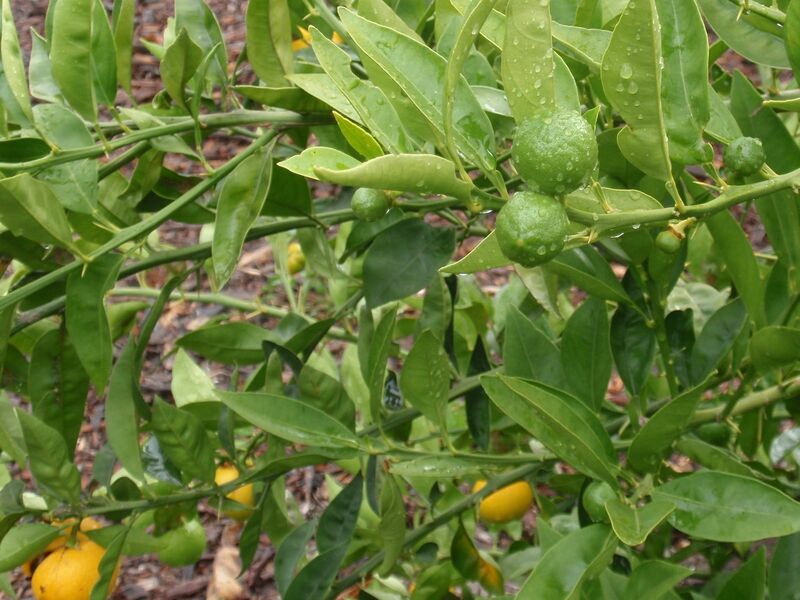 The Australian Sunrise Lime is an open pollinated seedling selected from a Faustrimedin, a hybrid of Calamondin (Citrus madurensis) and the Finger lime (Citrus australasica). 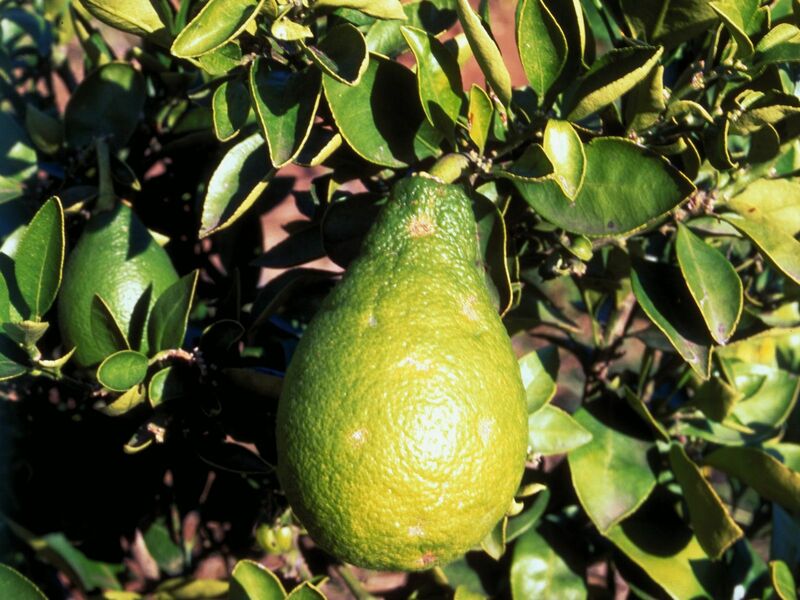 Faustrimedin is discussed in >> Native Australian citrus varieties.